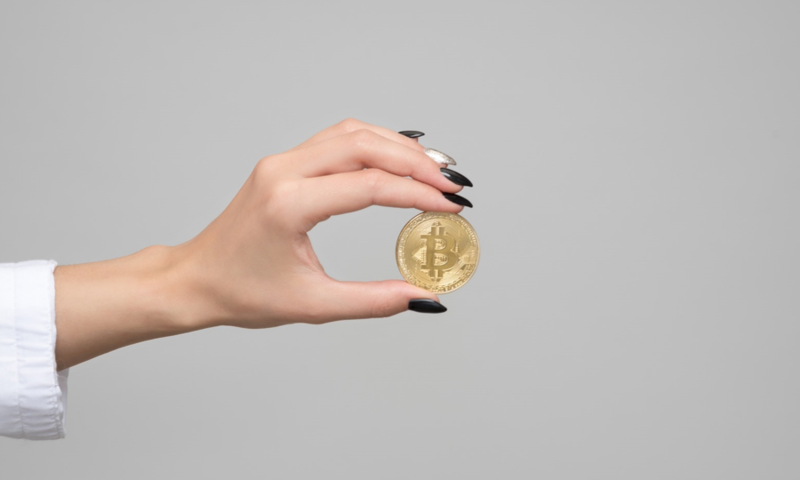 Bitcoin is a new type of digital money. How you should get some is quite the same way how you earn money generally. You sell Nasi Lemak (RM20). You accept Bitcoin. You download a Bitcoin wallet. It’s free. Nasi Lemak buyer sends you 0.0001 Bitcoin (RM20) to your wallet. You now have 0.0001 Bitcoin. So… why is Bitcoin different? We welcome you to come get educated for free at one our talks. Open to public, our next talk titled ‘Why Cryptocurrency Matters’ this time is brought to you in collaboration with Asia Blockchain Review (the media flagship platform by Infinity Blockchain Ventures). Please register for yourself and your friends now. I have been receiving a slightly higher number of text messages lately about scammers using Bitcoin and some reputable names from the crypto space to steal and run away with your hard earned money. The method of their operation is quite common and usually the same. They promise abnormally high returns in a very short amount of time. They prey on your desperation – when you are in need of more money and fast. They prey on your greed. They let you taste a small sample of “success” then run away with the bigger amount. I understand sometimes you really want to believe their promises to be true. But you need to know when it is your greed and desperation talking and take the courage to say no and walk away. 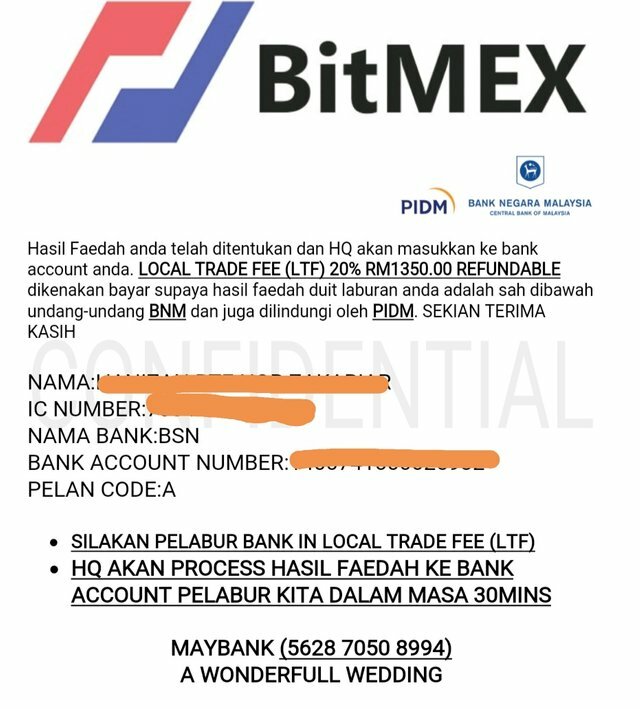 In this example screenshot, a victim sent his/her hard earned money to a “A Wonderfull Wedding” Maybank account claiming to be “Bitmex”. I advised to lodge a police report and inform the Securities Commission here immediately. There are no shortcuts to make money big, quick and fast. Understand it always takes hard work, delivering tangible value and there are always risks. The inconvenient truth is scams like these will always exist because it is easy to prey on the weak and desperate. They can use any product; gold, forex, volcanic “healing” pendants. The business model is the same. Prey on greed and run away with the money. Not skepticism. It helps but it can dissolve. The skill you should develop is discernment. Discernment is the ability to make better decisions based on facts and logic. It is intellectual, logical and rational. It helps you demand homework and due diligence before making a decision. BitcoinMalaysia is aware that there is a lack of events that help you discern better on the topic of cryptocurrencies. Most events around town are either too technical or driven on the ‘get-rich-quick’ side. That is why we are ramping up our efforts to deliver free education and awareness this year. Come learn then teach your friends what Bitcoin is and isn’t. Embrace the good. Reject the fear. See you this Wednesday here.